The “bricks and mortar” aspect of the groundwork for the enrollment increase was laid when the College received a $250,000 planning grant from the Virginia Tobacco Commission in 2003 that was subsequently leveraged into a $16 million + USDA Rural Development construction loan, the largest loan of its kind ever awarded to an institution of higher education. FerrumPLUS!, made possible by the USDA loan as well as generous gifts from benefactors, has changed the face of the campus. Information systems upgrades, including a cell phone tower erected on College property in 2003 and wireless technology in virtually every classroom, office building, study area, and residence hall have also been part of this effort. For more information about Ferrum College and FerrumPLUS!, contact the Public Relations Office at (540) 365-4300. 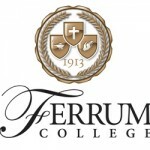 Ferrum College is a four-year, private, co-educational, liberal arts college affiliated with the United Methodist Church. Ferrum offers a choice of nationally recognized bachelor’s degree programs at a cost well below the national average for private colleges. For more information on Ferrum, please visit www.ferrum.edu.